The bombing of the booksellers on Al Mutanabbi Street in Iraq really touched me. As a book seller and book maker I had a hard time reconciling such an atrocious event with my own complacency about our too-easy-to-take-for-granted freedoms of commerce, thoughts and ideas. I thought about the words “pages reign” as a symbol for that freedom and the importance of books. 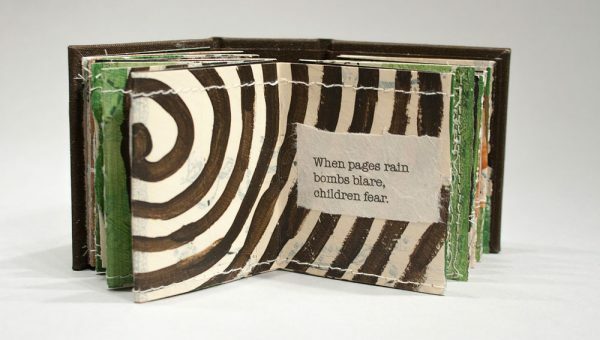 How can it be that bombs can so easily turn those words to “pages rain.” The images in my mind of book pages raining down after the bombs blare make me hope and pray that some day the people of Iraq will see “pages reign” again. 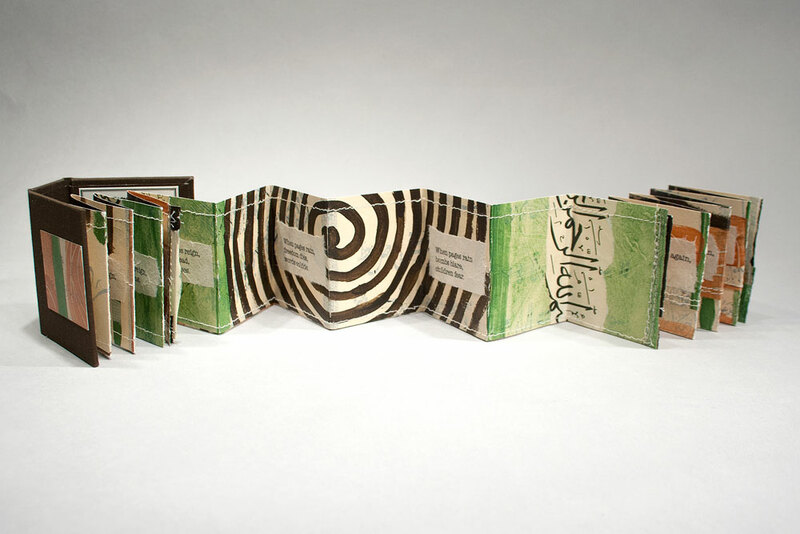 This book was created for the Al Mutanabbi Street Starts Here Street Coalition artist book project. 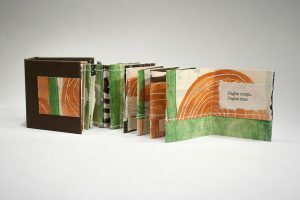 Miniature accordion book with case-style cover. Acrylic paint and collage using an Arabic calligraphy book as background imagery. 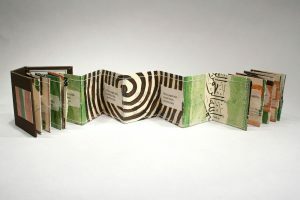 2.75 x 3 x 1.5 inches. 2013.